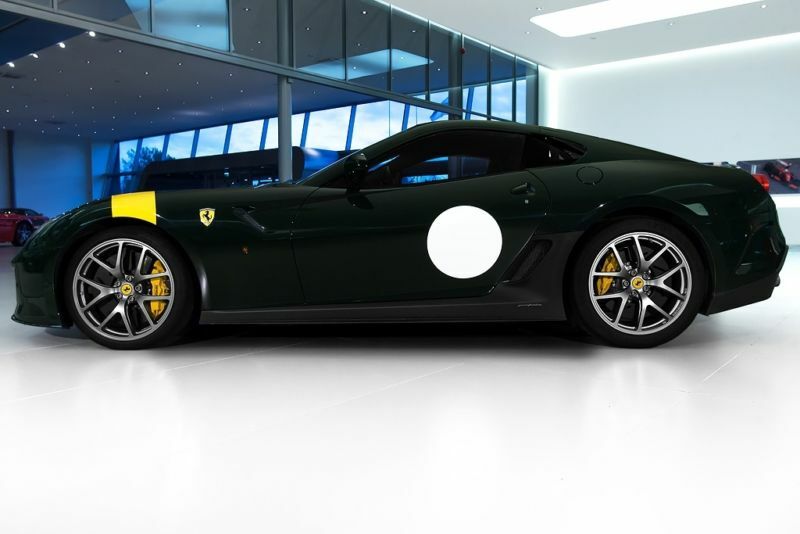 Ferrari 599GTO, first registered in March 2012 with only 5988kms from new with just one owner. Full Ferrari service history with Ferrari main dealer. Yellow brake calipers, Alcantara complete interior, all upgrades (roof, a-b-c pillars etc..), Fire extinguisher, Door sills in carbon, Ferrari Ipod connection, Navigation, Front and rear parking sensors, Under door sill covers in carbon, BOSE Premium HiFi, Beige Chiaro stitching, Steering wheel in Iroko alcantara, Large Carbon racing seats, Headlining in Iroko alcantara. 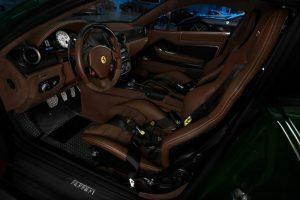 Lower zone in Iroko alcantara, GTO logos stitched in Beige Chiaro, Black belts, Black 6 point harnesses (possible to take out easily when not used, and also std seat belts), One of the last cars produced in Maranello. 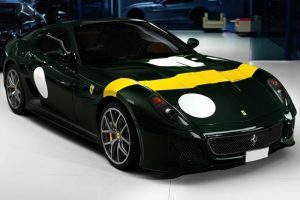 On 8 April 2010, Ferrari announced official details of the 599 GTO. 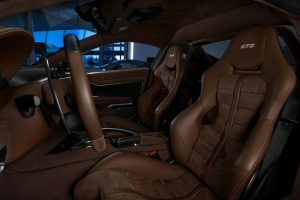 The car is a road-going version of the 599XX and at the time Ferrari claimed that the 599 GTO was their fastest ever road car, able to lap the Fiorano test circuit in 1 minute 24 seconds, one second faster than the Ferrari Enzo. Its engine produces 670 PS (493 kW; 661 bhp) at 8250 rpm, with 620 N·m (460 lb·ft) of torque at 6500 rpm. Ferrari claims the 599 GTO can reach 100 km/h (62 mph) in under 3.3 seconds and has a top speed of over 335 km/h (208 mph). 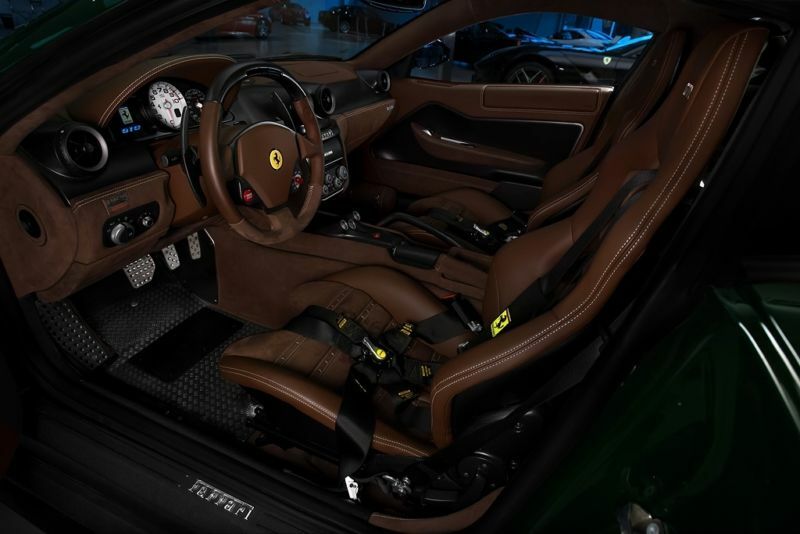 At 1,605 kilograms (3,538 lb), the 599 GTO weighs almost 100 kg (220 lb) less than the standard GTB. 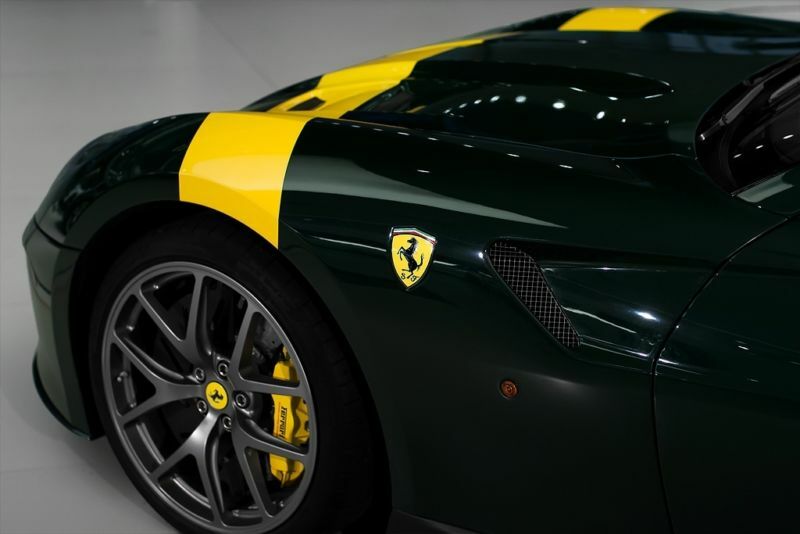 Production was limited to 599 cars. Of these, approximately 125 were produced for the United States market. Ferrari has given only two other models that used the GTO designation: the 1962 250GTO and the 1984 288GTO. Unlike the previous GTOs however, the 599 GTO was not designed for homologation in any racing series.